Explained: What do Madrid’s measures mean for Catalonia? 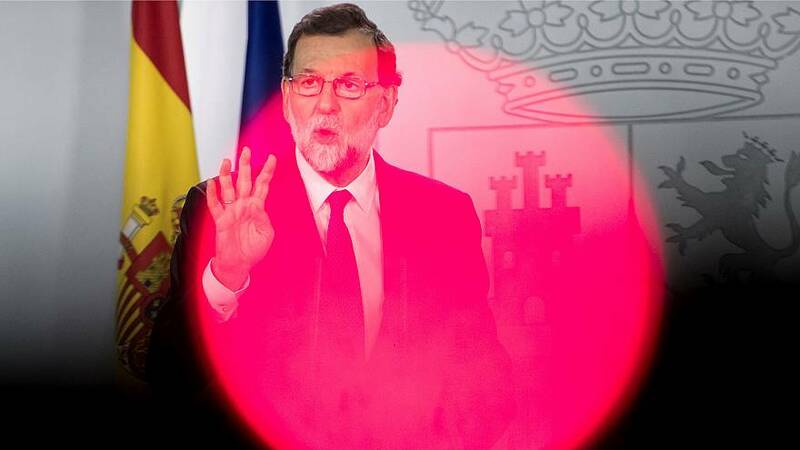 Spanish Prime Minister Mariano Rajoy has announced plans to curb the powers of Catalonia’s parliament, sack its government and call a regional election within six months. The new measures, adopted under Article 155 of the country’s constitution, are the latest move by Madrid aimed at thwarting efforts by the autonomous region to break away from Spain. “Our objective is to restore the law and a normal cohabitation among citizens, which has deteriorated a lot, continue with the economic recovery, which is under threat today in Catalonia, and celebrate elections in a situation of normality,” Rajoy said. But what would the proposals actually mean for Catalonia? The president, vice president and all Catalan ministers are set to be dismissed. The new measures also allow for any Catalan administration official or public servant to be dismissed or temporarily replaced by “administrators” chosen by Madrid. Catalonia will be temporarily ruled by authorities and bodies created by the Spanish government. While Catalonia’s parliament will not disappear, it will be ruled by officials from Madrid until a snap election is held. Madrid’s rule of Catalonia will end after the snap elections, which Rajoy says will be called within six months. While Catalan leader Carles Puigdemont is currently the only person able to call snap elections in the region, Rajoy has said these powers will be transferred to him. Under the new measures, the Catalan parliament will not be able to propose a new president, and any resolution that local lawmakers want to vote on will need to be approved by an authority appointed by Madrid. Catalan public media will be managed by the authorities replacing the regional government, who Madrid says will ensure “accurate, objective and balanced” reporting. The Spanish Senate still needs to decide whether to approve the new measures in its session on Friday. As the ruling People’s Party has the majority in the Senate, they are widely expected to be passed.